‘Tis the season to explore……. Explore our capabilities that is. For some the season never goes away however many take stock as the autumn months approach and review their summer experiences, plan for next year or perhaps the coming winter. Having had the summer off to discover new areas such as the Brecon Beacons, bits of The Lake District that I had neglected in the past and a couple of weeks of lofty Alpine climbing activities, I am about to start teaching in the hills again. 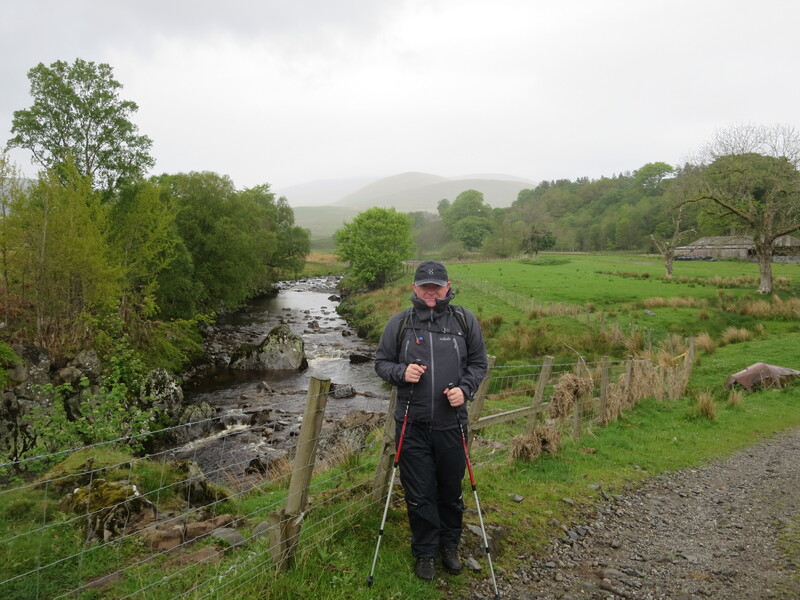 Mountain Leader Assessment and Training are the serious end of the business with courses run by Andy Brown and with myself enlisted as an expert hand on the job. 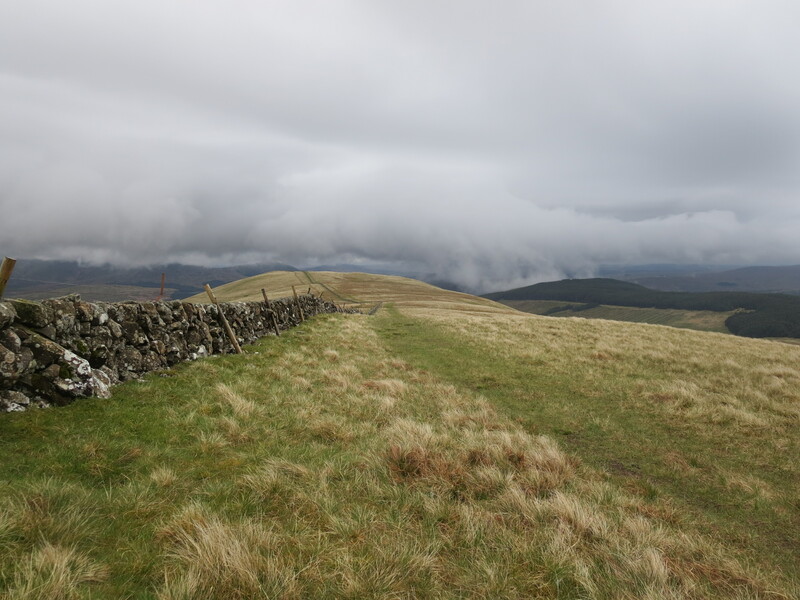 In addition I will be teaching Hill Skills and Navigation for Cumbria County Council on their Community Learning and Skills courses – evening classes to those of a certain age – based at Shap and Carlisle. 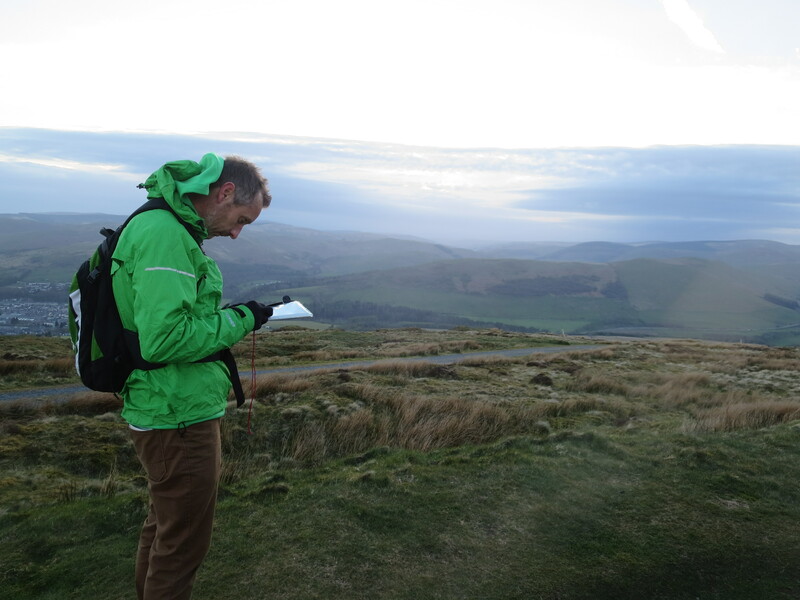 These courses are run over five evenings and include a night navigation session plus a long half day on the hill to put it all into practice. 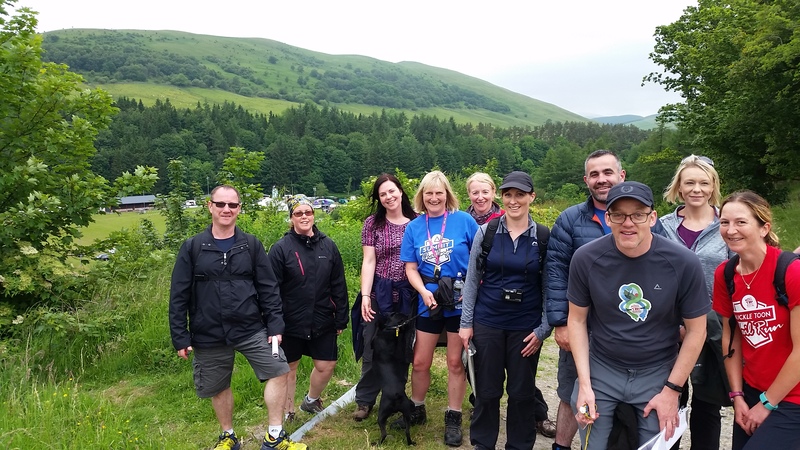 As ever, should you wish to add to your mountain capabilities or simply enjoy a good walk, feel free to get in touch. MTAF has a huge following in the Borders. 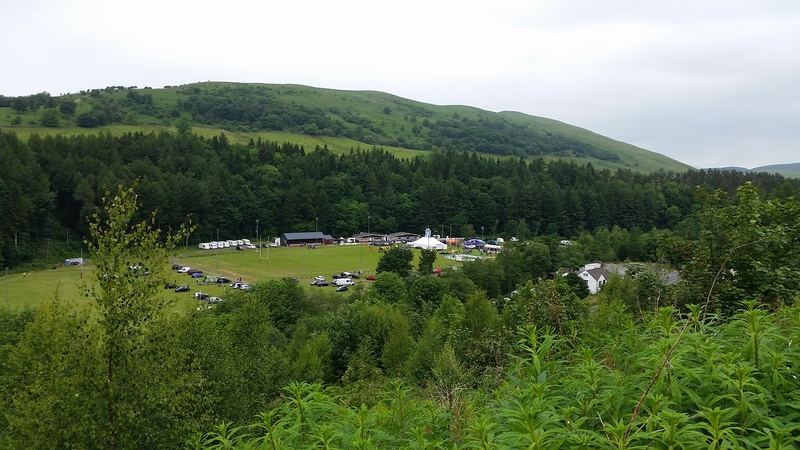 Those of you who have never been to Langholm – The Muckle Toon – have a delight awaiting them. Rolling hills and winding valleys, wildlife and a great historical context make it a genuine little gem. Whether you’re a runner, cyclist, or outdoor all-rounder there’s something to see and do at this weekend festival. Come and meet the locals, sign up for an event or workshop or chill out and enjoy the spectacle. 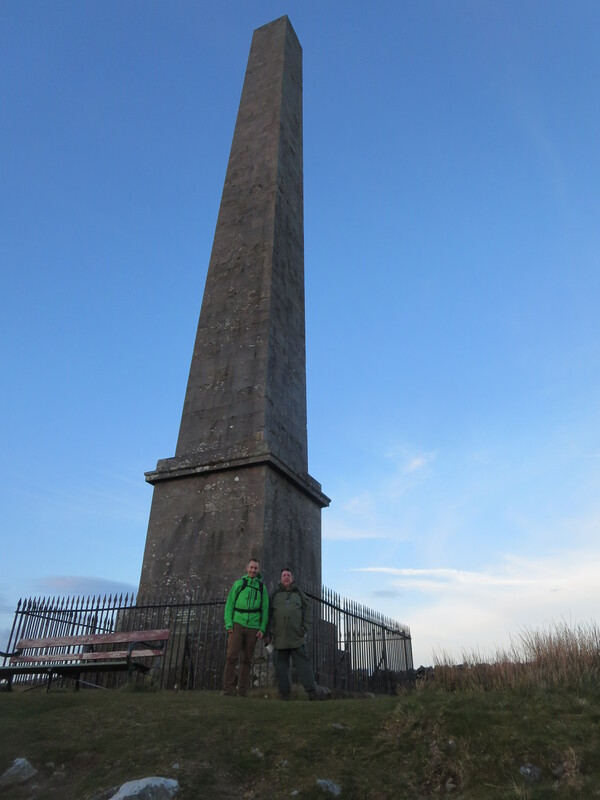 I am running two hour navigation workshops on Sunday 18th June. Dogs and children are welcome when accompanied by a well-behaved adult. 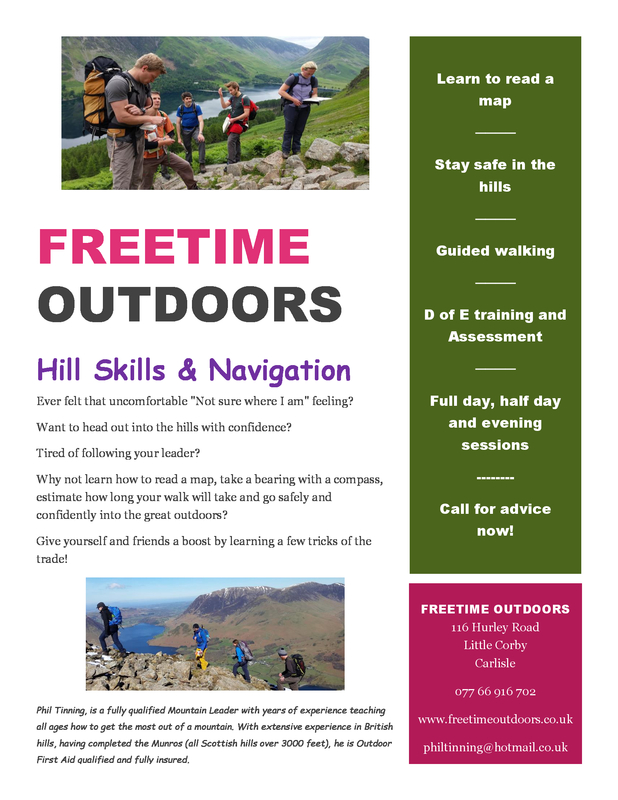 Hill Skills and Navigation Workshop. Two separate groups (13 budding navigators in total) made the route around Whita Hill learning how to use a map and compass and getting the low-down on the tricks of the navigators trade. An information and instruction packed 90 minutes around Whita Hill. The happy participants made it back to the MTAF Base Camp. Maps and compasses must have worked then! Thanks to Dawn and everyone from Langholm for a successful weekend. A border raid yesterday. Over to the Galloways, picked up Drew at Dalbeattie and a scenic drive to Carsphairn. (Red Kites spotted on the way). Parked up at Green Well of Scotland. Weather not improving very quickly but nothing drastic, raining all the same. Cairnsmore of Carsphairn (or Deugh) is an easy Corbett comfortably taking just over four hours up and down (strolling actually). 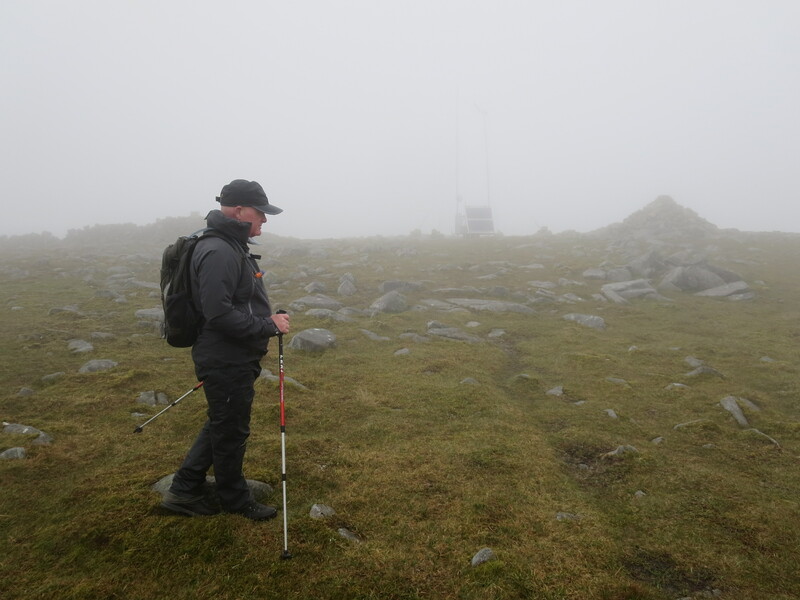 An easy track then across some grassy slopes to the west ridge thence an ascent into the cloud to the summit cairn and Trig point. Some kind of monitoring gizmo parked at the top. A quick bearing off the top and soon out of the cloud and rain and back to the van. Drew very impressed with his ascent as he was thinking earlier he wouldn’t manage it. I used the “How do you eat an elephant” tactic. An afternoon and evening hills. 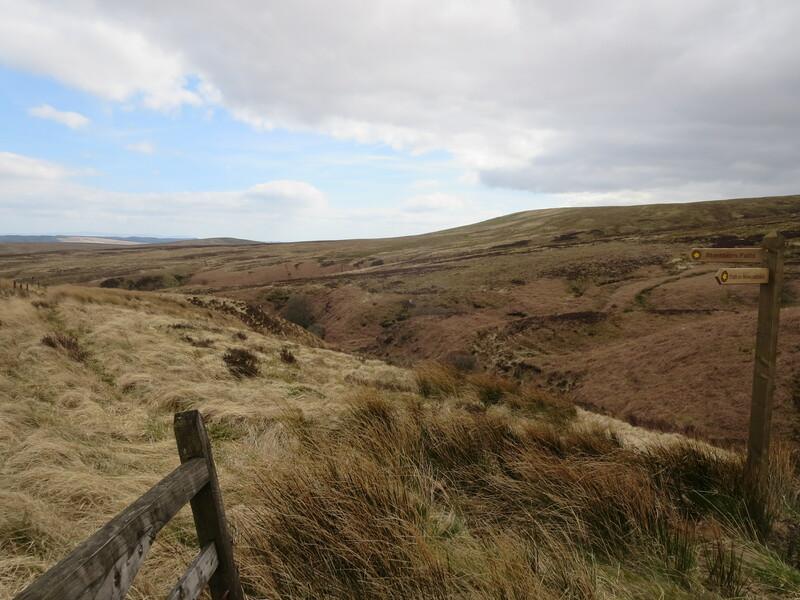 Between Newcastleton and Langholm there’s a big expanse of open moorland intersected by burns running over the underlying sandstone. There are numerous small falls but occasionally you come across something more spectacular. Blackburn Falls is one such. Infrequently visited it has a sense of special remoteness. Following my walk to the falls I met up with Paul and Dave for a navigation refresher course. 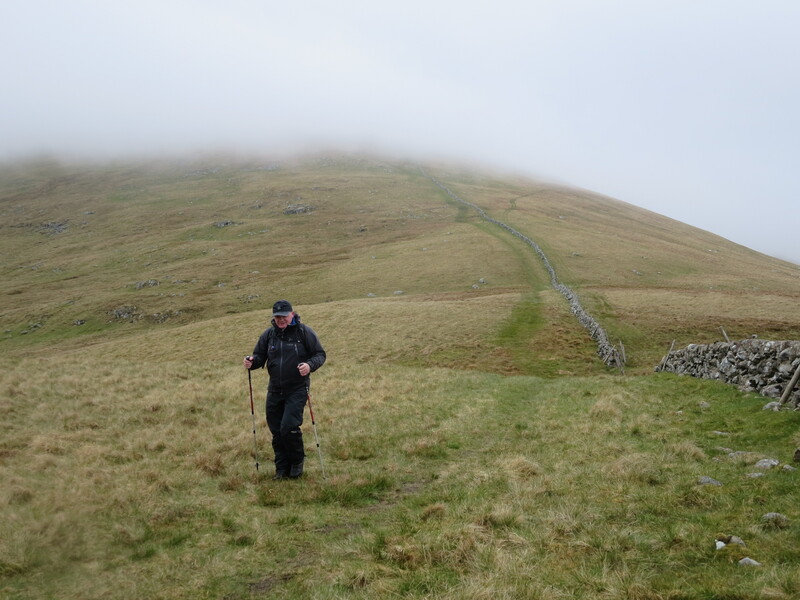 Paul is training for the Bob Graham round in August and wanted to sharpen his nav skills. Great country for learning and finished before dark. 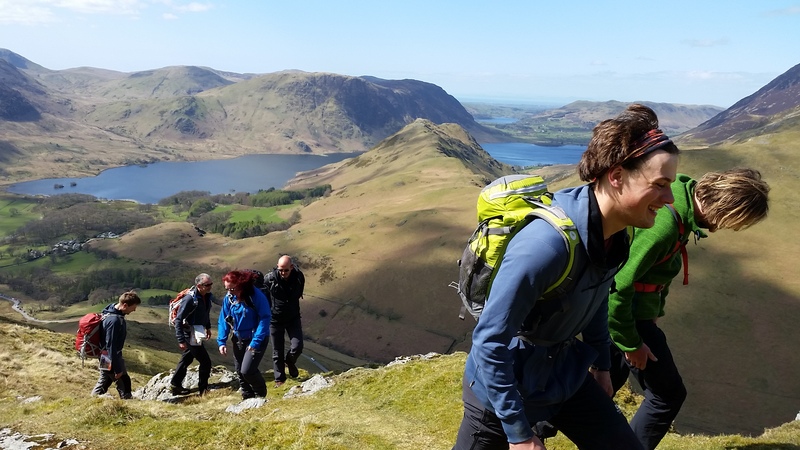 ML Training weekend one based at Buttermere YHA with Andy Brown’s Adventures:http://www.adventures.org.uk/. 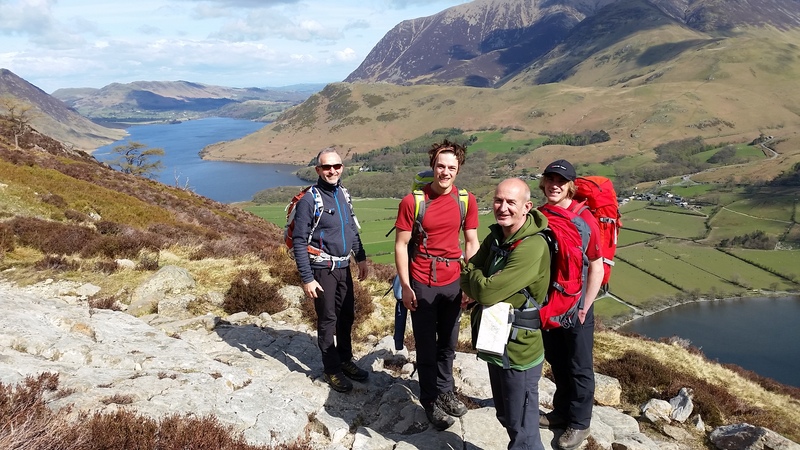 Six prospective Mountain Leaders were introduced to the genuine delights of the Buttermere valley. 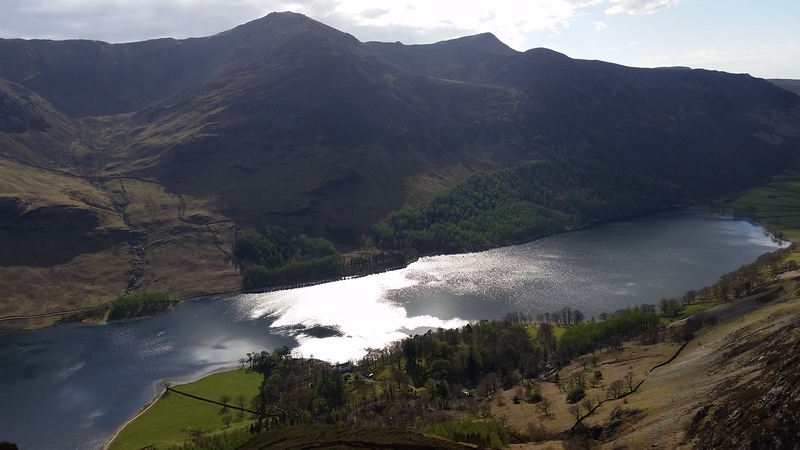 Two days of spectacular walking weather were enjoyed with a shakedown afternoon ascent of High Snockrigg and Robinson from the YHA on Friday descending to Hassness and a stroll along the lake shore to return. 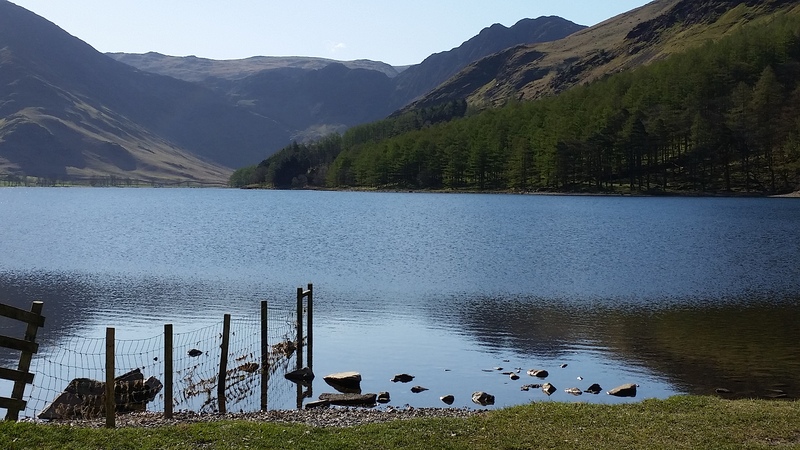 On Saturday we ascended Red Pike via Bleaberry Tarn and a pleasant scramble to the north of Chapel Crags. During lunch and a brew up we had a discussion about emergency procedure. Along the ridge southwards then to High Stile and a lovely ridge descent to Birkness Combe, Buttermere shore and back to the YHA. Well done Sam, Arran, Rhys, Dave, Simon and Alex. Ropework and steep ground training next and looking forward to the expedition phase.